Call Mike at Wilco as well. Texas Air salvage or Dawson Aircraft should have a few on hand..
Hi. I'm absolutely new to this forum. 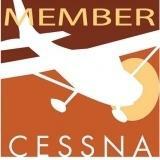 Just started flying my new old 1978 Cessna 172 XP. I noticed that my left wing light was out so I unscrewed the housing to remove the light and managed to drop and break the red glass light cover in the process. I found the bulb in Aircraft Spruce but not the red glass cover. Can anyone give me an idea where I can find that thing? Thanks. Last Edit: 1 year 4 months ago by ROD KLEISS.